Growing up, the 308-mile drive from Lubbock to my home town of Fort Worth was a slightly boring chore, with little more to do than stare out at the windmill-spotted fields of northwest Texas. However, for women residing in Lubbock, this arduous drive is necessary for anyone seeking an abortion. These women must find the time, money, and courage to travel the six-hour journey, all the while passing billboards put up by anti-abortion evangelists, plastered with faces of smiling babies and words of condemnation. In the Lone Star State, no political issue is more divisive than abortion. The majority-Republican legislature has taken extreme measures in the past decade to cut access to abortion. This has left 96 percent of Texas counties without an abortion provider. Thousands of women now must drive more than 100 miles in order to access the care that is their right established by Roe v. Wade 45 years ago. In taking aim at abortion providers, however, Texas has slashed the number of clinics that exist to offer women essential and even lifesaving healthcare. This lack of access to care has had devastating consequences on the health of Texas women. The Trump administration’s proposed “Domestic Gag Rule” threatens to do the same to women all over the country. This policy proposes cuts to Title X funding for healthcare providers who offer referrals to abortion providers. Title X provides federal funding for family planning and preventative healthcare such as cancer and STI screenings. The program has been an essential way for low-income women around the country to get care since its inception in 1956. A core tenet of modern Republicanism is its anti-abortion stance, and the Title X funding restriction is meant to force everyone to live in ways that align with the party’s conservative principles. A key way Republicans galvanize support for this policy is by arguing that taxpayers should not be responsible for funding a procedure they morally disagree with. However, since the passage of the Hyde Amendment in 1976, federal dollars cannot be used to pay for abortions. What this proposition really does is threaten healthcare providers like Planned Parenthood and Whole Women’s Health that provide comprehensive information and care to women who are pregnant. If the Title X restrictions were enacted, they would force these providers to make a difficult choice: go against their principles and offer an incomplete list of options to patients or lose their federal funding and leave their patients with no care at all. Texas passed severe restrictions on abortion clinics similar to those in the proposed domestic gag rule in 2013 that were ultimately deemed unconstitutional by the Supreme Court. Nevertheless, the laws resulted in more than half of the state’s abortion clinics to be shut down because the clinics had been forced to close before the case made it through the Supreme Court. Even after the decision, most were unable to reopen once they had already been shuttered. Though this legislation took aim at abortion providers, the vast majority of these clinics provided services other than abortion, from family planning services to cervical cancer screenings to routine check-ups. Texas has the highest rate of uninsured women in the United States—37 percent in 2014. The state also has some of the highest rates of unintended pregnancy and maternal mortality in the United States. Closing clinics that provide essential health services to uninsured and low-income women will do nothing to bring those rates down—in fact, these trends would likely worsen. In many places, women who are uninsured have no other options for family planning or prenatal care. It does not take mental gymnastics to figure out that women without access to contraception are at higher risk of unintended and unwanted pregnancies. The closure of family planning clinics through abortion restrictions has had a lasting impact in Texas. After the clinics closed, Republicans rushed to open new public family planning clinics that did not offer abortion services. However, in 2014 just 6 percent of the need for publicly funded family planning services was met in Texas. The best way to prevent abortion is to prevent unintended pregnancy, and the best way to prevent unintended pregnancy is to offer access to contraceptives and family planning services. The new Title X mandates proposed in the gag rule make it harder for women to access the care they need. If we care about women’s health, we must protest these policies and hold legislators accountable for their actions. Going forward, it is essential to elect candidates who work to help women, not to harm them. The situation in Texas acts as a warning shot to the rest of the nation. Slashing funds for women’s healthcare results in devastating consequences on women and their families. If Republicans truly want to prevent abortions, they should improve access to women’s clinics, not restrict it. 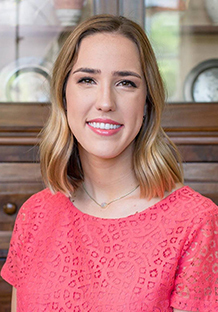 Annalise Eger is a first-year MPH student in Population and Family Health.